The Fonseca KDT Cadetes is a beautiful light Cuban smoke, a complex Short Panetela, 4.5” (115mm) long, of 36 ring gauge, and comes in a 25 cigars box. As other Fonsecas, it comes with a beautiful thin white rice paper sleeve. Despite its short size, it is the shortest of the Fonseca line-up, it’s a pretty powerful cigar, with a medium body, developing nice earthy flavors. In short, it is ideal for new comers to Habanos. 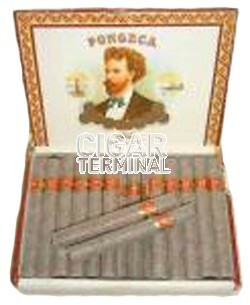 The Fonseca KDT Cadete is a very good option for a mild to medium cigar when the time is of the essence. •	Pretty complex cigar, with lots of creaminess, flavors of wood, earth, honey and with some notes of nuts and cocoa. •	2 years of aging is recommended on the Fonseca Cadete. This cigar is simply a great beginner’s cigar or an affordable aperitif smoke. As every Fonseca, the Cadete is wrapped in a very elegant white Japanese rice paper. 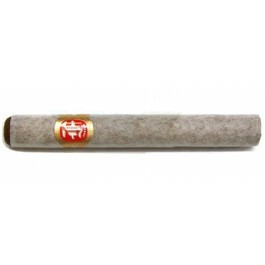 Once the paper is removed, it reveals a nice and well rolled cigar, which uses a longfiller, with a light reddish brown (colorado) wrapper. There are a few amount of small veins, but the seams are almost invisible, the triple cap is very good looking. It also seems pretty well packed, it is firm from the head to the foot. Aromas of earth, light sweet tobacco and the classical Cuban twang arises from the foot. The cap cuts pretty easily and leaves a clean cut, the draw is a bit tight. The flavors at cold are of hay, leather and of a dry and sweet tobacco. Further on, the draw opens up, letting the cigar to produce a generous amount of smoke. The burn line is straight from the beginning, it just requires occasional touch-ups, but it is not an issue at all. The first third of the cigar is starting with delicious flavors of toasty tobacco and of grassiness, while the finish is more smooth and leathery with just some few notes of spice, not peppery, more like a kitchen spice. There are also some touches of bread, nuts, cocoa and hints of toastiness. Towards the end of it, a light woody flavor and notes of sweetness come forward. The body of the cigar starts in the mild range and progresses towards a medium body by the middle third. In the middle third, the dominant flavors are of tobacco, grassiness, more like tea flavor now, some toasty honey sweetness. There are also notes of wood and earth. It is still very smooth and oily. In the final third, flavor profile remains just about the same, with still that creaminess that joins the different flavors beautifully. We get mainly wood and some notes of earth and sweetness. In summary, it is a cigar that worth more publicity, this is a great cigar that is both delicious and not over powerful.